This is a round Lackawanna Anthracite porcelain sign. This particular Lackawanna Anthracite sign is orange with black print. 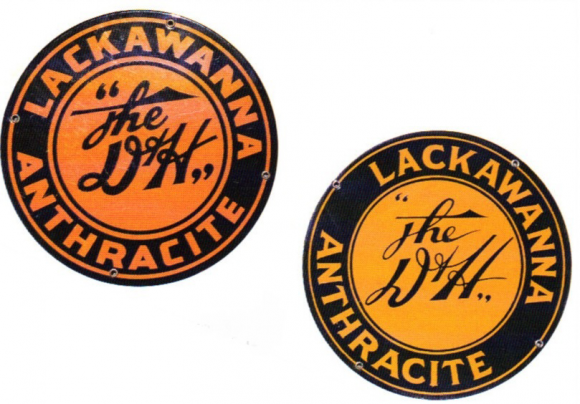 It reads, “Lackawanna Anthracite, The D & H”.